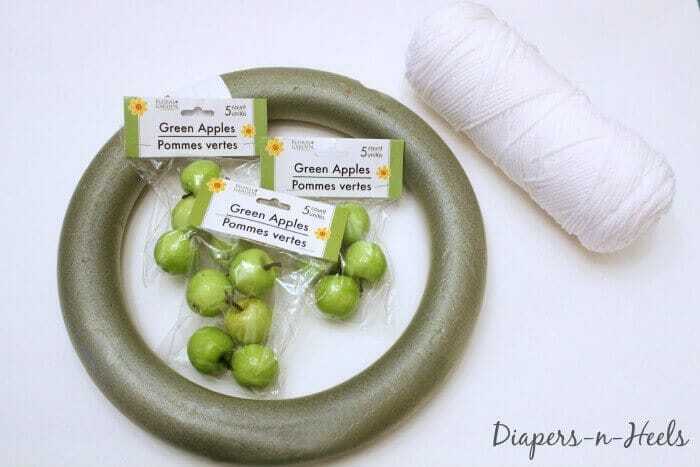 Anyone who knows me, knows when it comes to crafts, I can’t stand paying a ton for supplies. 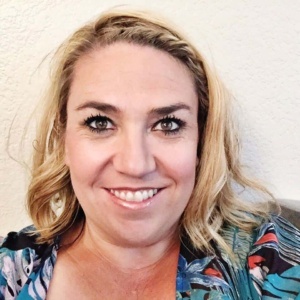 Its my opinion that every project should be evaluated on whether you can find the exact or very similar premade for less than it would take you to make it. Your time is worth more. 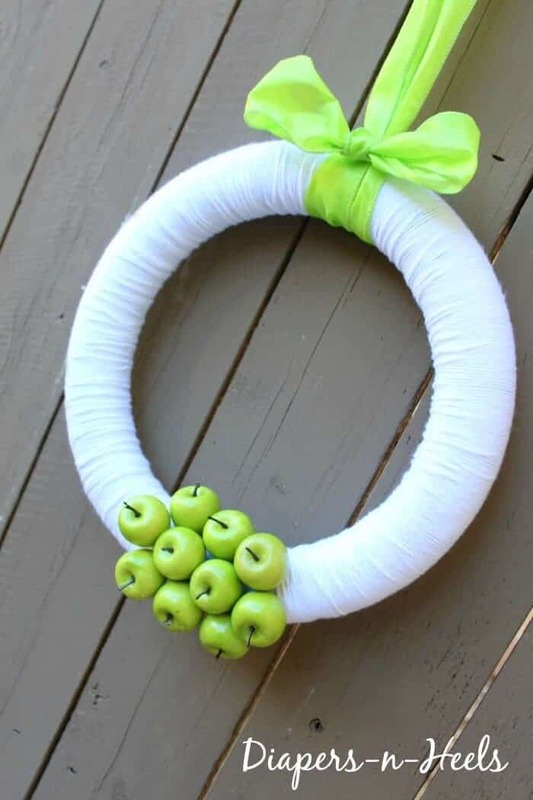 In any case, if you’re looking for a great simple yet elegant spring wreath, that goes with everything from St.Patricks day to Easter, this little apple bottom is great, and only cost a few dollars to make! 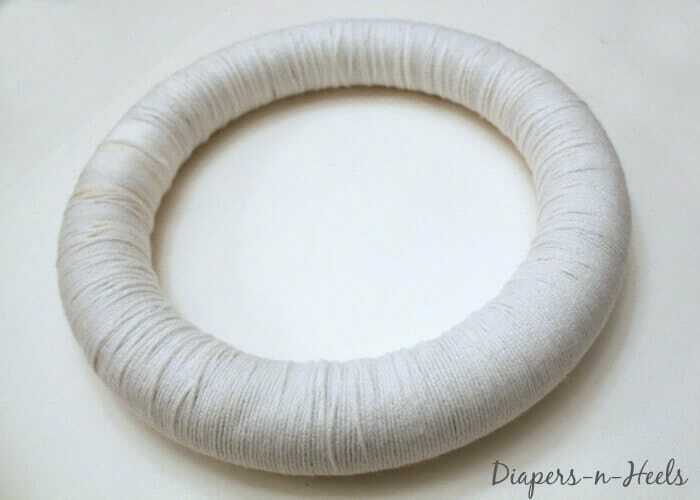 First step is to cover the wreath in the white yarn. I started on the inside with a tiny dot of hot glue to keep it secure. Then continue around wrapping the entire wreath. 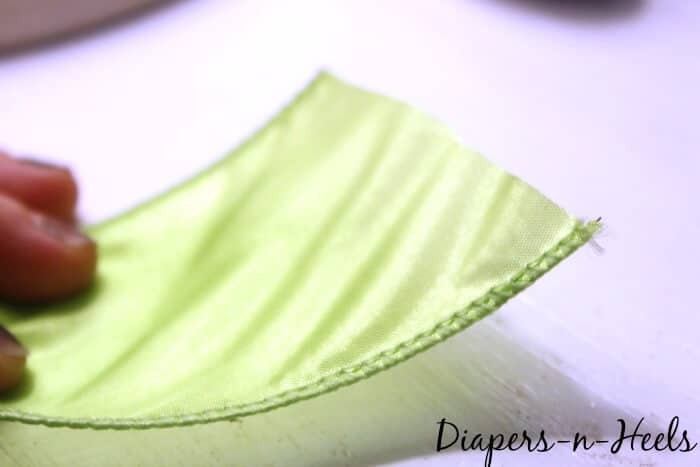 Secure the end piece of yarn down with hot glue as well. 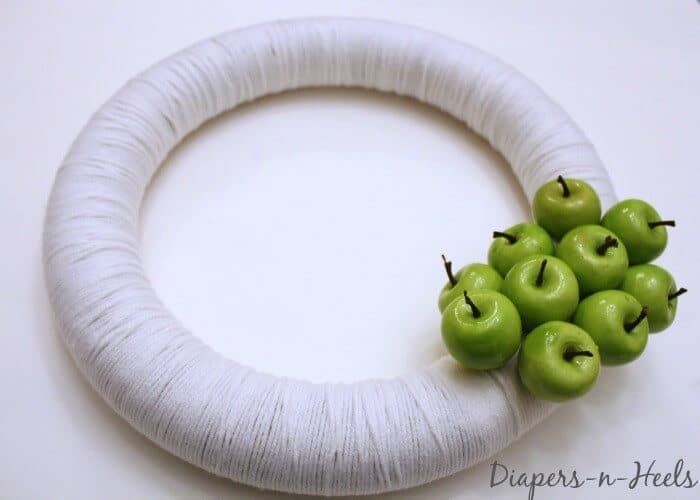 Glue each of the apples to the wreath in a bunch. 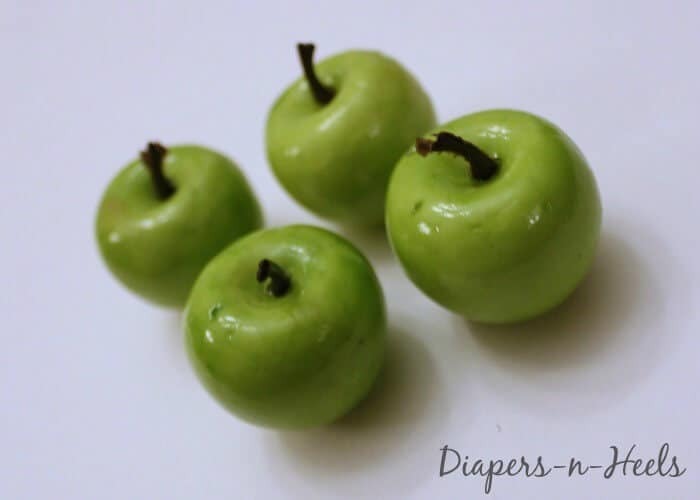 I used 2 packs of the apples which equals 10 total thumb size apples. To hang the wreath I opted for a bow ribbon. I used a 2 inch wire lined ribbon in the candy apple green and approximately 2.5 feet of it. Tie a bow in the middle of the ribbon and with the long tails of the bow, tie them together in a simple knot. 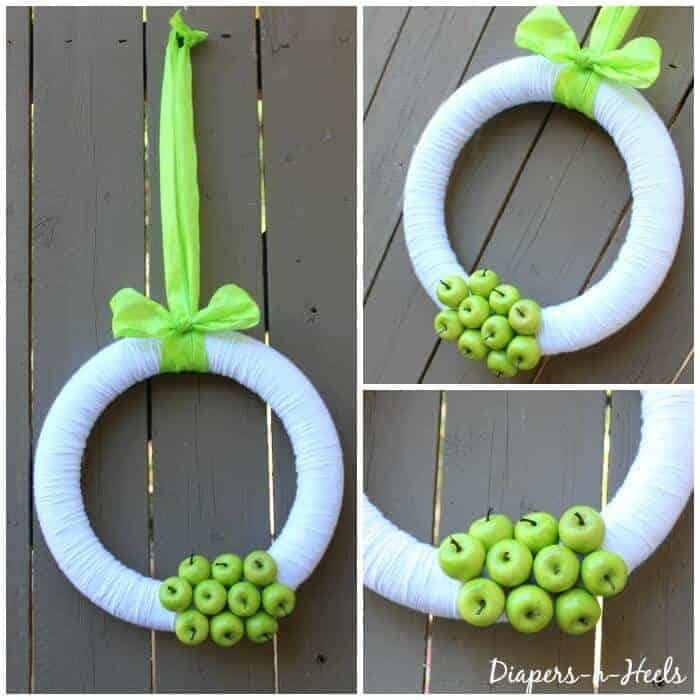 Hold the bow to the top of the wreath, then with the knotted tail ends, wrap the ribbon behind the wreath, and come up under the bow and pull up securing the bow at the top of the wreath and the knots are able to hang from any nail or hook. 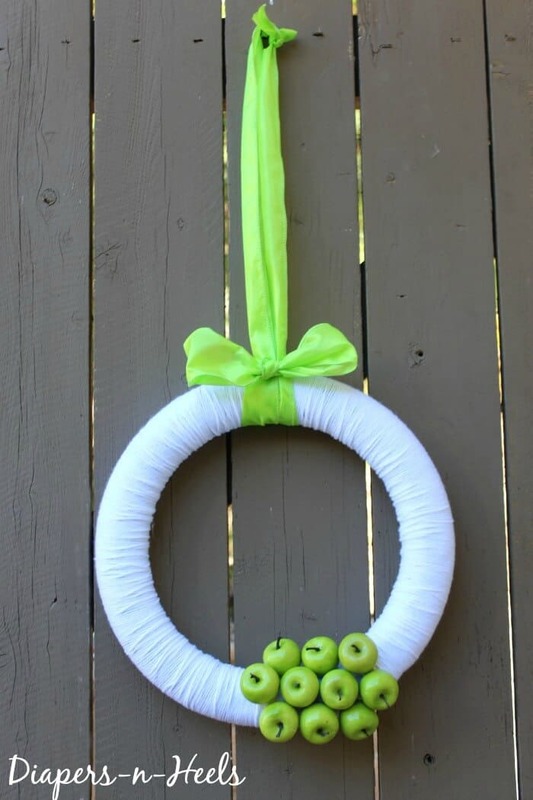 You now have yourself a sweet and simple Spring Apple Wreath that can take you all the way through till summer. Lovely tutorial and what pretty results, it shouts spring!